As the very first rickhouse tenant, Battle Axes, LLC is proud to call the James E. Pepper Distillery our home. We are located at 1170 Manchester Street, Suite 160, on the side with the giant mural. Want to hit the town but not sure where to go? Start with the walkable, historic Pepper Campus in the Lexington Distillery District near downtown Lexington. Situated on the banks of the Town Branch Creek, just west of the Lexington Center and Rupp Arena, the unique Pepper Campus includes a diverse mix of restaurants, bars, distilleries, breweries, a dessert lounge, an arcade, live music, and now: indoor hatchet throwing! 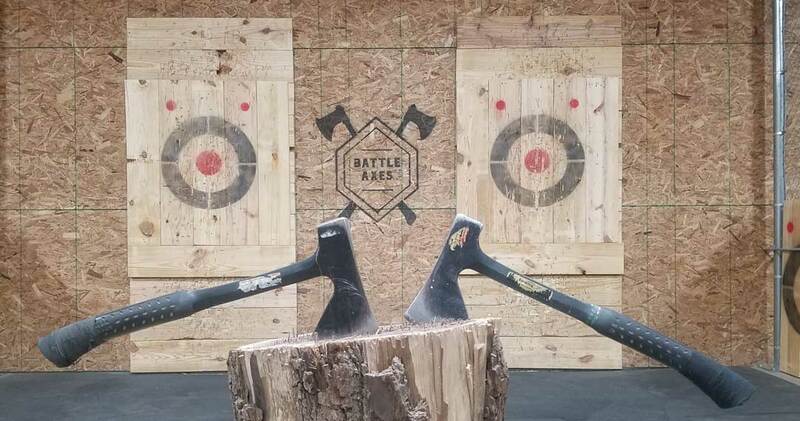 At Battle Axes we offer casual throwing, league play, corporate events, and private parties. Almost 60 canned beers and ciders (half of which are Kentucky Proud), soda, bottled water, and snack foods are available for purchase. Follow us on Facebook and Instagram for all the updates on our events and leagues! Highest Score after 5 Throws Wins the Round! Best out of 3 Rounds Wins! 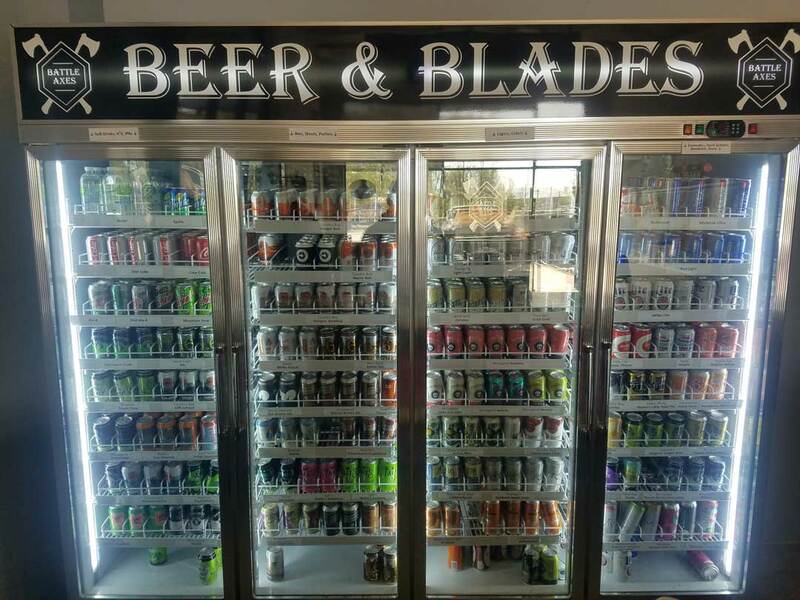 Over 70 different varieties of canned beers and ciders.